Home / News / Roadmap for Sustainable tailored integrated care for older people in Europe LAUNCHED! On 13th of March 2019 in Brussels, IFIC’s Maggie Langins, Toni Dedeu and Nick Goodwin took part in the final conference for SUSTAIN. The conference marked the end of the 4 year Horizon 2020 project which worked in close collaboration with health and social care staff in 13 sites across 7 countries in Europe to improve integrated care for older people with complex conditions at home. The conference was also an opportunity to launch the Roadmap, which captured the experiences of partners improving integrated care across Europe so as to transfer these experiences to other settings. 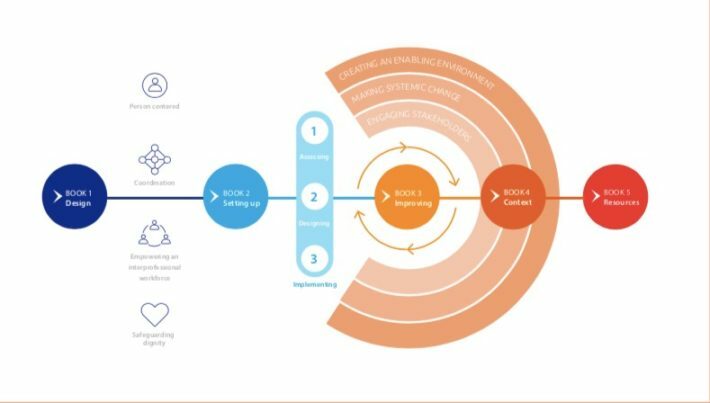 While the Roadmap is designed principally as an improvement aid to support improving integrated care for older persons living at home, it also helps readers who may not know where their site or service is in terms of the important elements of an effective integrated care service’. The roadmap suggests that integrated care teams assess their progress to date again by focusing on improving those areas (or initiating those areas) that would appear to be furthest away from best practice. The roadmap is set up as five books.